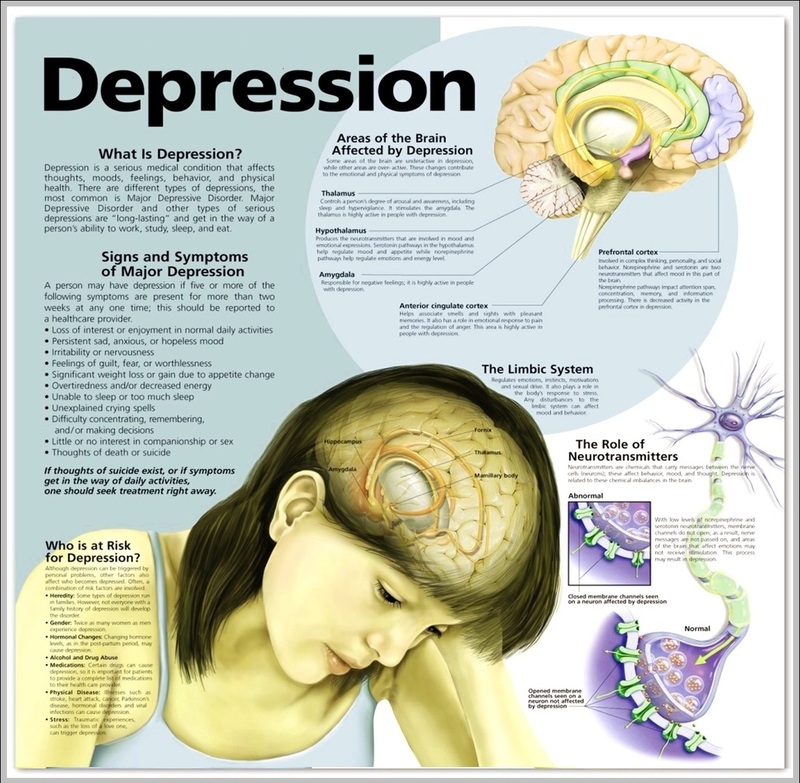 Depression Diagram – Depression Chart – Depression Symptoms – Signs and symptoms of depression – What is depression? Depression is a medical condition that affects thoughts, moods, feelings, behavior and physical health. Areas of the brain affected by depression: who is at risk for depression?